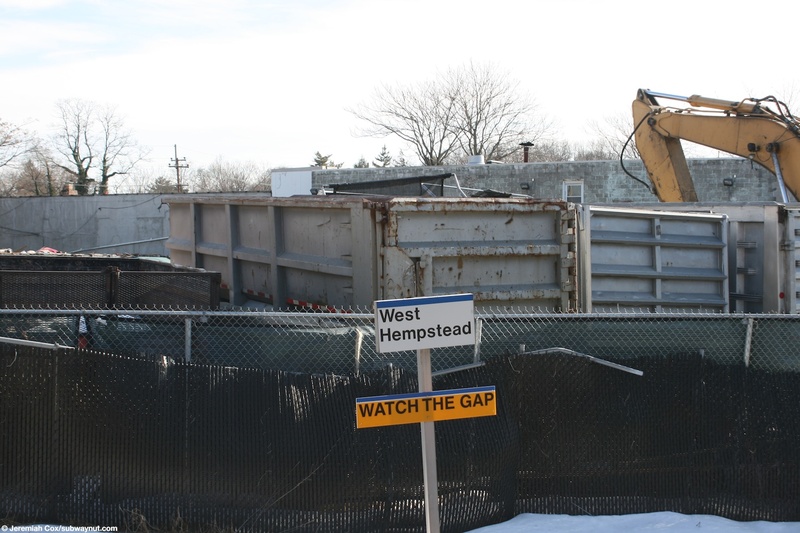 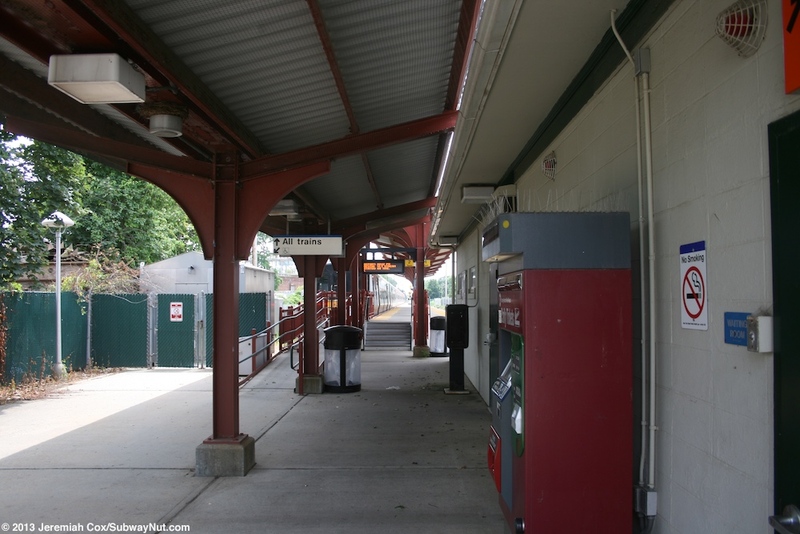 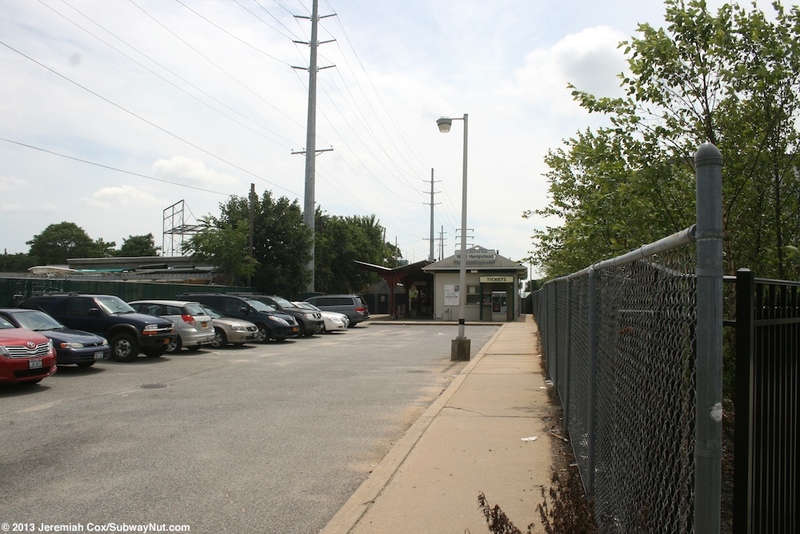 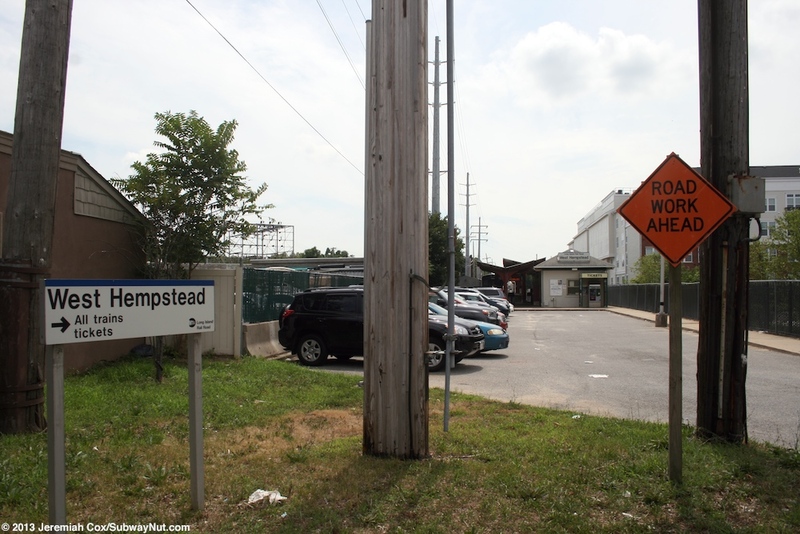 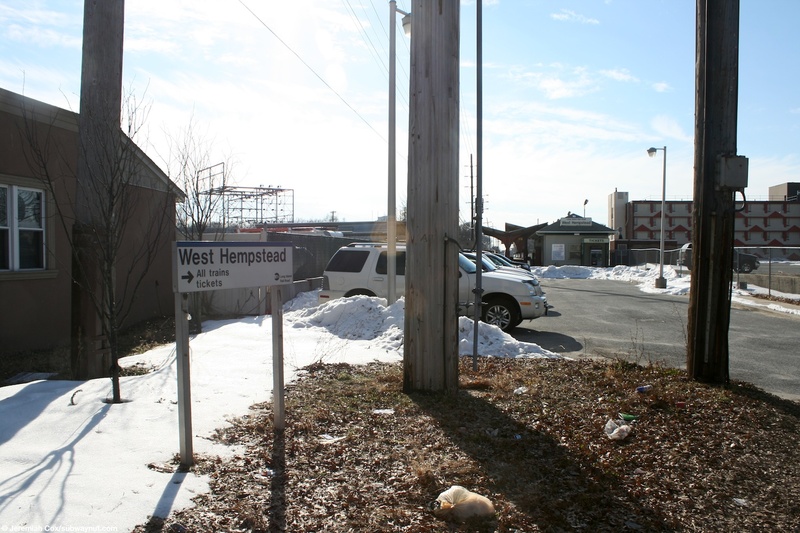 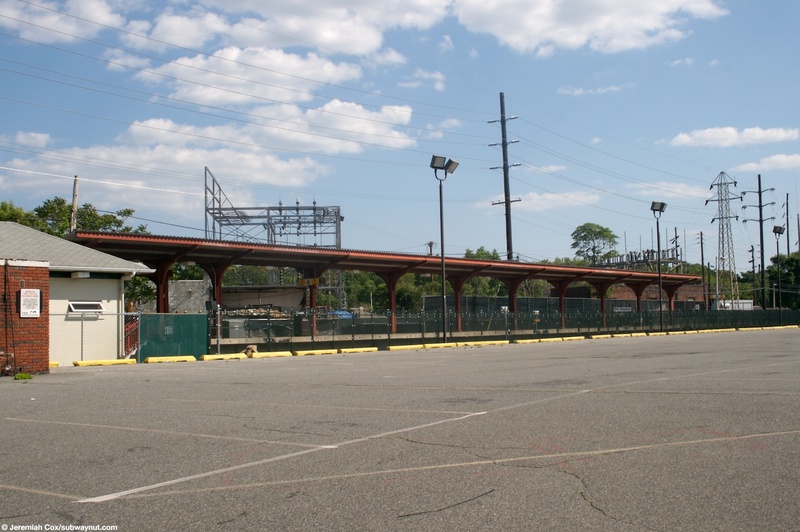 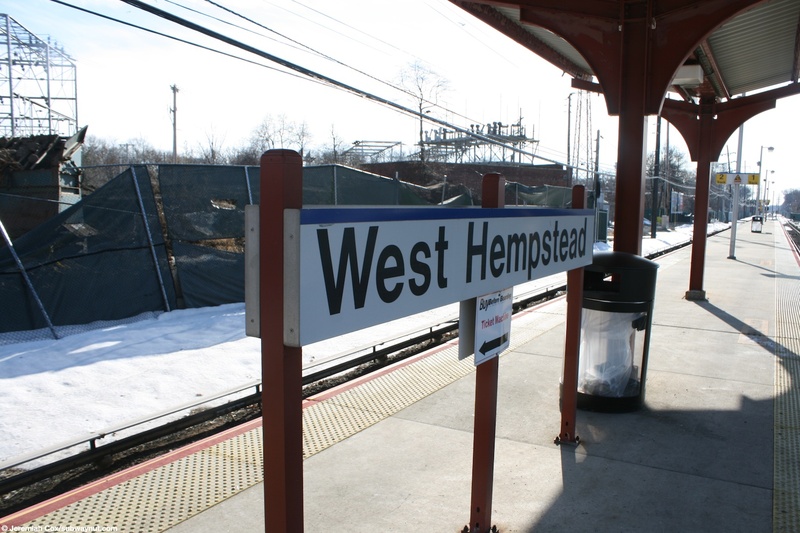 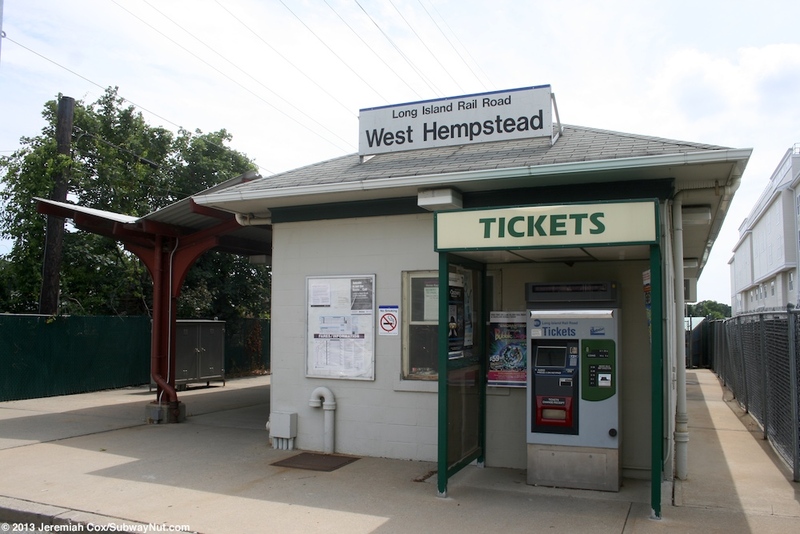 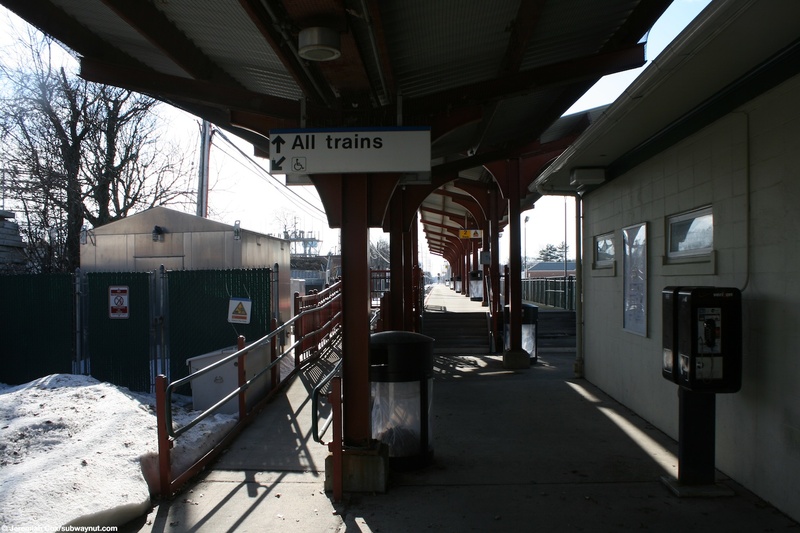 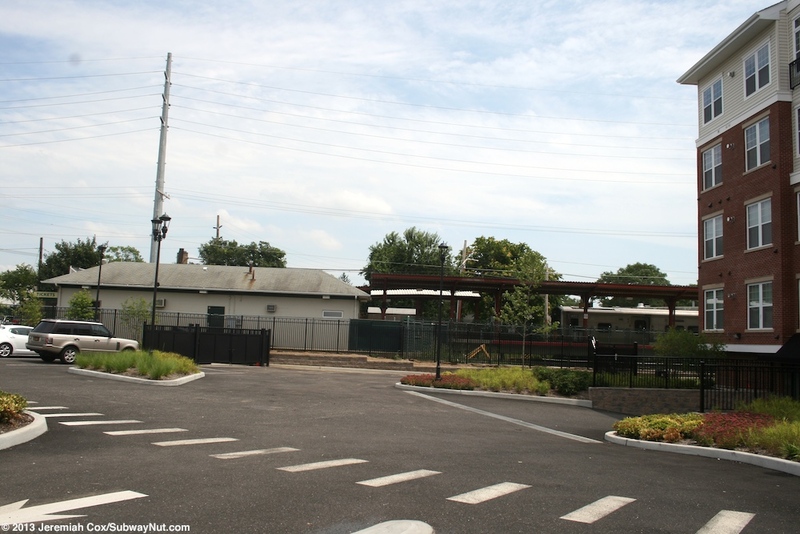 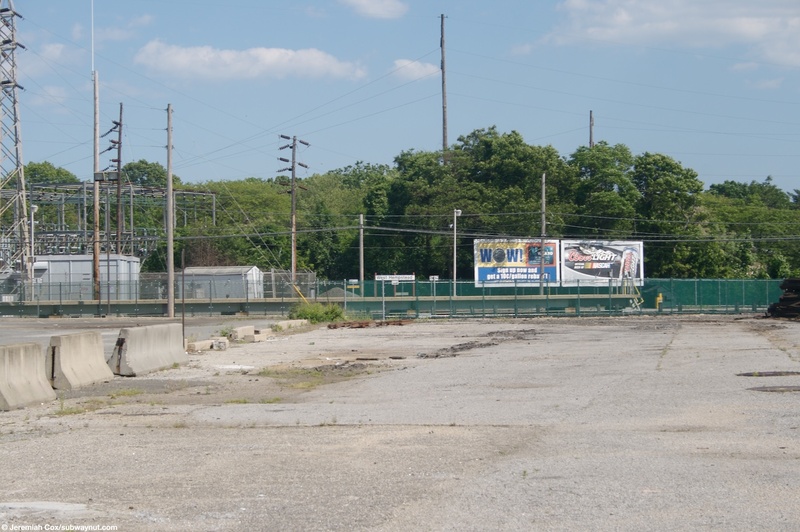 The West Hempstead Station is the terminus of the namesake branch with two tracks and a four-car island platform for two tracks between a motel and a const, not suburban homes like the rest of the station. 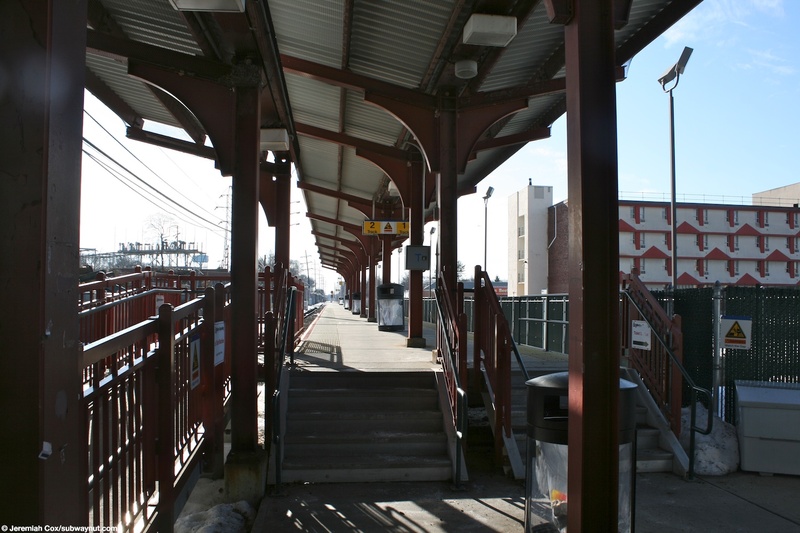 Access to the narrow island platform is via a staircase or a ramp to the side at its northern end beyond the bumper blocks. 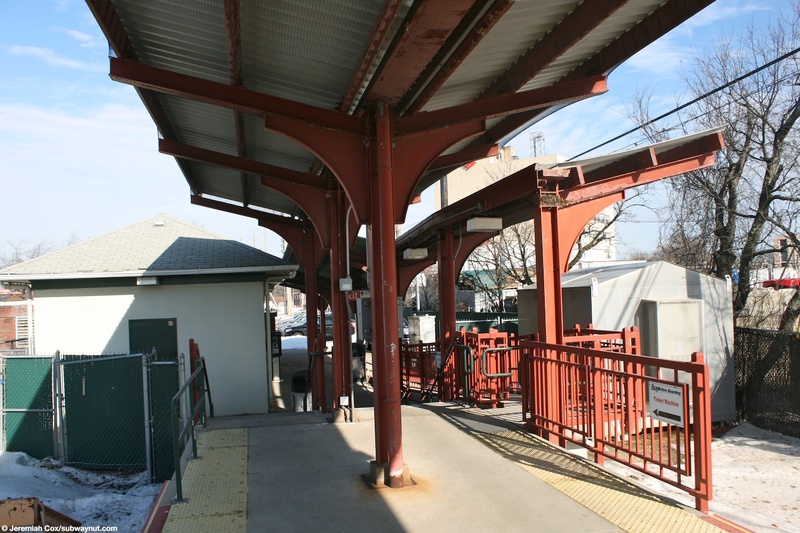 It is this somall portion of the platform that is also canopied (with red posts holding it up like the rest of the branches colors). 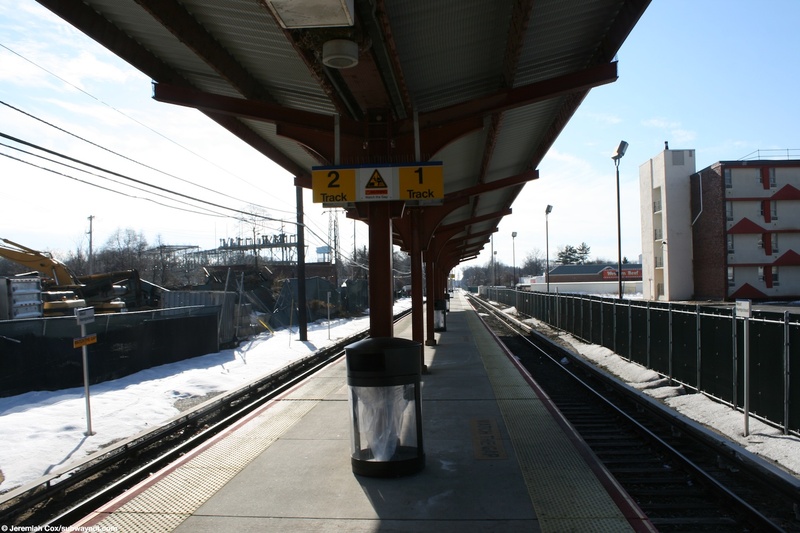 The southern end of the six car platform is exposed to the elements tall older generation lampposts. 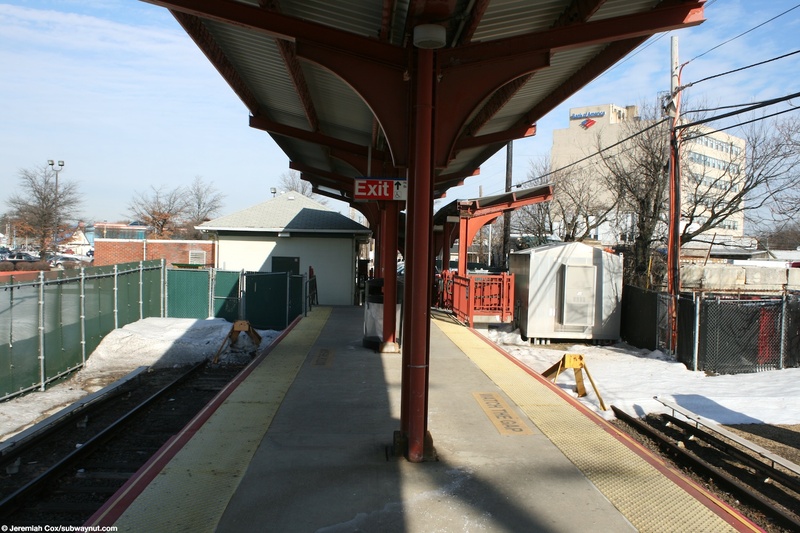 The platform exit leads to a small, white station house building at street level where there some employee rooms along with a small waiting area that claims to be open from 5AM to 2PM weekdays (the branch after the last round of service cuts no longer has ANY weekend service), although it was locked at 12:30 on a weekday when your webmaster visited the station. 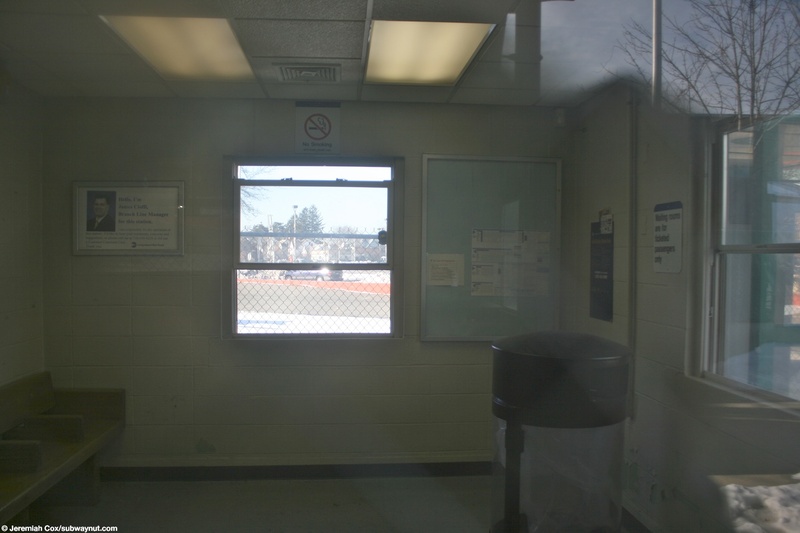 A second visit after 2:00pm round the door open. 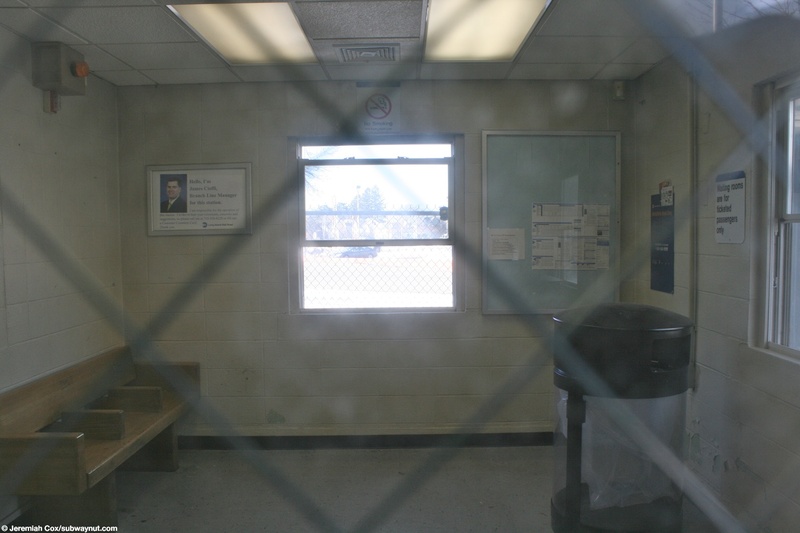 The waiting room is tiny with white cinderblocks a single short bench and no restrooms. 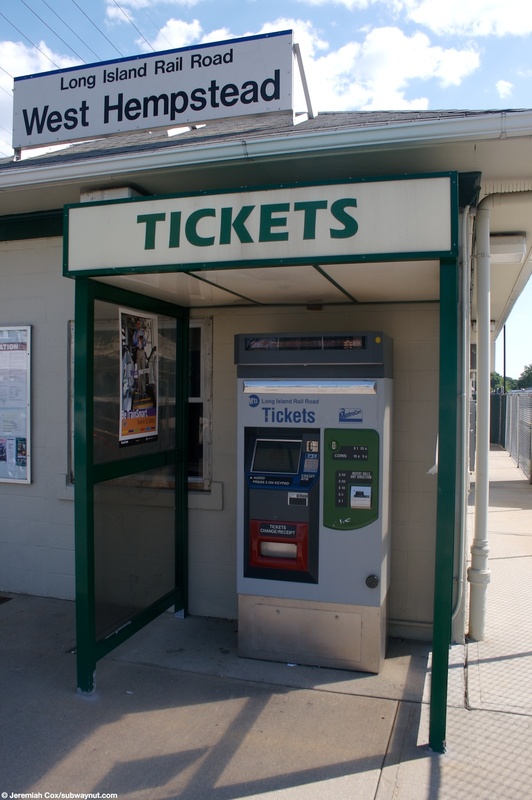 The stations has a ticket machine in the standard green tickets kisok outside the station house, and another beneath the canopy alongside the walkway to the platform This end of the platform leads to a small parking area that all entering passengers must walk through to reach the station from Hempstead Avenue. 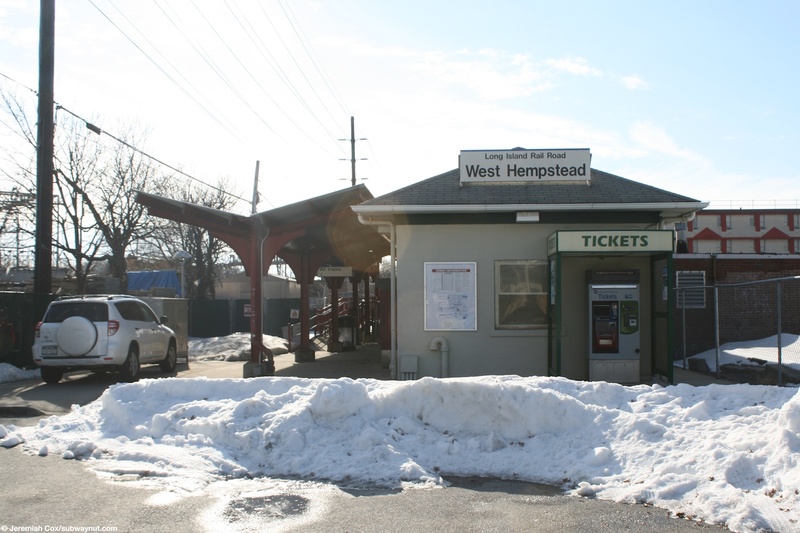 Between 2011 and 2013 a new Transit Oriented Development, West 130 has opened ajacent to the station and its platform. 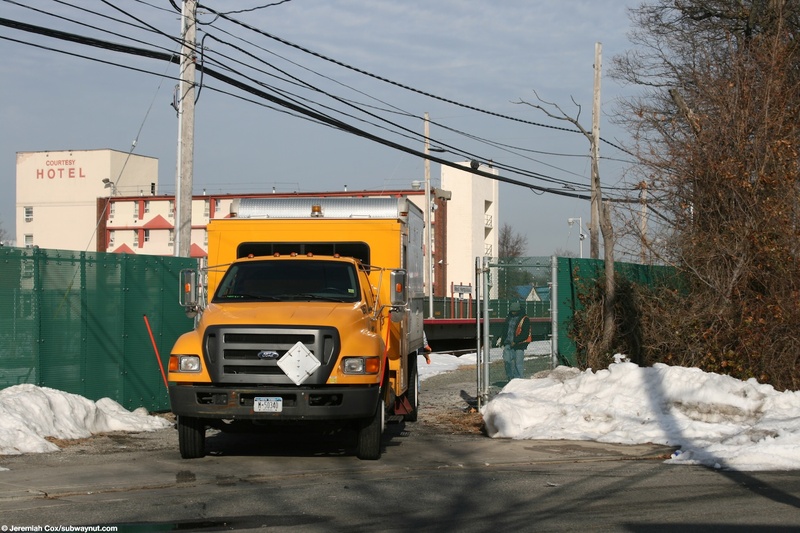 It is a 4 story building with 150 apartments.